Davida Loca, the main man behind PART TIME since 2009, has a brand new 7″ from Sweaters & Pearls Records to go along with his newly released LP on Burger Records, Virgo’s Maze. Two broken synth-pop tracks come stumbling out of the gate, lazily and bleary-eyed, swelling with layers of color much to the effect of Loca’s quietly growing discography. Gooey synth beams ripple and flutter along with Loca’s nasally tone, producing a starry sound speckled with pops, clicks and clucks that would fit in seamlessly while lounging under the cool night air. Loca apologizes for his behavior amidst a string of jewel-toned synth hooks, but it’s up for debate how sincere he sounds in his apology. “Pictures on My Wall” starts from a different angle, coming with a wobbly notion stemming from dazed and burnt-out synths (offering a strikingly similar tone to this Fez soundtrack by Disasterpiece). Loca sings through the icy affair with breathy vocals veiled by a cloud of vapor, making it difficult to understand what he’s saying, but fitting in perfectly with the open-ended, faded-out finish of this mystifying B-side. You can grab the 7″ from Sweaters & Pearls now – the single is limited to 300 clear gold copies with the first 25 coming with a collage by Travis Kostell. If the 7″ isn’t enough, don’t forget to dig in to the new LP Part Time just released on Burger Records. Also, that Fez OST by Disasterpiece is probably worth a visit too if you’re into that buzzy synth sound in general. Now get listening! BUY the 7″ from Sweaters & Pearls Records – limited to 300 on transparent gold vinyl ! 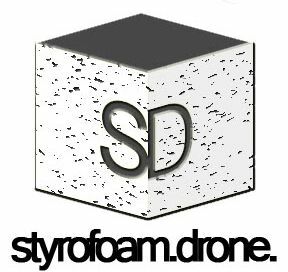 Posted on June 30, 2015 February 1, 2018 by styrofoamdronePosted in ReviewsTagged David Loca, electronic, lounge, Part Time, pop, Sometimes I'm Cruel, Sometimes I'm Mean, Sweaters & Pearls Records, synth pop.